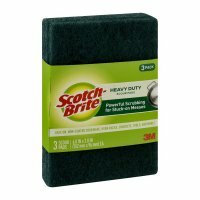 This Scotch-Brite scour pad is a highly effective scouring tool. It is not recommended for cleaning glass-ware, plastic-ware, porcelain, non-stick cookware, or polished, brushed or satin finished surfaces. Not for aquarium use. Classico Signature Recipes Fire Roasted Tomato & Garlic Pasta Sauce.Classico.Di Siena.Net wt 24 oz (1 lb 8 oz) 680g. Stouffer's Classics Beef Pot Roast.Tender pieces of beef, carrots, celery & browned potatoes.No preservatives.Per Serving.210 Calories.1.5g Sat Fat 8% DV.710mg Sodium 30% DV.3g Sugars.14g Protein 24% DV.Vitamin A 25% DV.See nutrition information for sodium content.U.S. Inspected and passed by Department of Agriculture.